The Outlook Web Team has also responded and is looking into possibly integrating the Calendar Overlay functionality in Exchange. Yay! Recently, I’ve tweeted that I was installing Zarafa 7 beta1 in order to compare the web based access of both groupware solutions. Because their new interface was not present in this release, I was given access to their online preview. They graciously allowed me to test it and to show screenshots and the like. A few years back my company had to make a choice between several groupware solutions with Exchange 2007 one of the contenders. One of the main caveats of Exchange 2007 was that the premium webmail was only supported by Internet Explorer. Also, there was no easy way to share calendars or view multiple calendars at once (without the use of other solutions, like Sharepoint). Zarafa 6 did have these features. These features contributed in the decision to go with Zarafa. 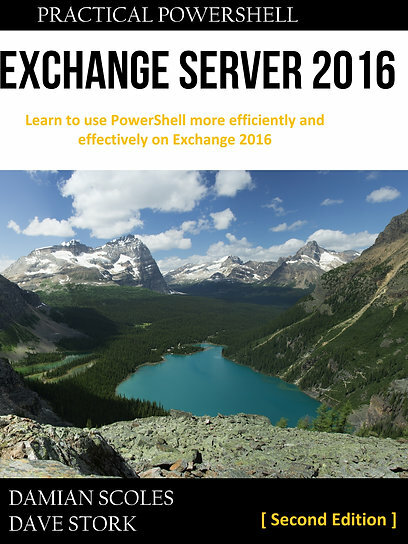 But with the release of Exchange 2010 and Outlook Web App 2010 (OWA), how are things now? What will Zarafa do with the upcoming v7, now that they have to compete with Exchange 2010? So, let’s look at some screenshots and discuss functionality! First off: this preview supports Firefox and Chrome, I made this post using Firefox 3.6. I did not check the behavior using Internet Explorer, Chrome, Opera or Safari. As you can see, the main screen looks a lot like Outlook 2007, it has the folder list, message list and a message pane layout, which can be adjusted. It even has a ribbon like… er, ribbon. New and different from OWA are the widgets, seen at the right-hand side. In this case a clock. There weren’t any very interesting widgets, but Zarafa used an existing framework language which has already a collection of ready to use widgets. That could be promising. Another improvement is that within sessions, read mail is cached. That improves performance a bit and possibly results in a more stable connection as to previous versions where loosing the internet connection meant re-authenticating and loosing the mail. A problem I did not have with Exchange. Zarafa Web Access indeed seems more stable even with crappy internet connections, but during a train ride and 3G access my OWA 2010 still had less problems than Zarafa, which required several full windows refreshes unlike OWA. But a welcome improvement in any case. One new feature that is that default there are no popup windows, everything is inline with the main screen. At first I thought it would be a nice way to minimize pop-up windows and cluttering, but as they limit your view on the main window the benefit is limited. You can choose to let it pop-out when you need multiple windows which do not obscure your main window. Resizing is possible, but not maximizing with one click or button. Multiple monitor users definitely would want to have a default popup function. Unfortunately mails cannot be dragged and dropped from the message list to a folder in the folder list, a big caveat for me. Categories can be set, but are not visible (bug?) or cannot be searched for. Creating new folders is unnecessarily tiresome: you have the option in a context menu, but it opens a new window where you have to chose the location, instead of a more Windows Explorer like experience and directly creating a folder on the location you selected. Furthermore, I couldn’t find the folder immediately and there is no refresh button (this could be a bug or a limitation of the preview account). I could not set the properties of folders and calendars, possibly the functionality isn’t built in yet. But that means I couldn’t check whether permissions and sharing could be enabled via Web Access (new to OWA 2010). I could not find an option to open other mailboxes, which is possible in ZCP 6.4 and also OWA 2010. There is no web ready server-side rendering of Office/PDF files (an installed Office viewer is still necessary) and inline graphics are still automatically loaded (which I consider a potential security risk). I haven’t noticed any Mail tips, but that is a nice to have instead of a need. The calendar windows is now even more like Outlook. You can open several shared calendars (new to OWA 2010) and even overlay them to compare them more easily. That is a functionality which I miss in Exchange OWA. Moving and adjusting times of already planned works as expected and intuitively. Making new appointments or meeting request works fairly the same, although there was no Room Mailbox or some sort of resource scheduling. I did see Public Folders with meeting room calendars, but these could not be used for the meeting request. I could not open external published calendars or publish my own calendar (to non authenticated users). There is an option to open shared calendars, but that wasn’t functional yet. Stuff that I couldn’t check out where the general options or settings windows. This has been improved dramatically in Exchange 2010, where administrators can manage the organization and users via the Exchange Control Panel and limiting the use of the Exchange Console or Shell. But for users OOF, Remote Wipe of ActiveSync devices etc. etc. can be set. Well, the new Zarafa web access is a large improvement to their previous versions. The look and feel has been updated to what experienced internet users have come to expect and it seems more stable in comparison to previous versions. However, some basic actions are still much more cumbersome than it should be. Although it is a preview and a lot could change, I haven’t really seen features that rocked my world. It still falls behind the functionality of OWA 2010, it mostly mimics the functionality of OWA 2007 with some important improvements (calendar sharing etc.). In the long haul, I mumbled more “I can’t do this” rather than “Hey, this is a cool new feature!”. The Calendar overlay is the only thing that got a bit of a rise out me, which I think would be a good feature for Exchange 2010 Service Pack 2 or so (Web App team, are you reading this? ). The widgets are a nice addition, but not a killer feature for me. You could achieve somewhat the same effect with Sharepoint integration or some custom programming. Not yet seen but promised are Jabber/XMMP integration for IM and perhaps presence and here Zarafa takes advantage of the open source technologies available. Off course Microsoft has a similar solution (OCS or Lync), but you will have to invest separately. This feature is interesting when it is (properly) integrated. Zarafa has indicated to me, that they will try to find their own feature set and be less of a Exchange clone. I believe that is a wise choice, because as a follower you always end up second or worse. So, which web access wins? I still prefer Outlook Web App any day and I don’t see Zarafa challenge that in the future. Even with the announced features. So, the Web Access beta is in my opinion (at the moment) no selling point to change from Exchange to Zarafa. The decision to follow their own path rather than follow Microsoft however is a strategically sound one and could result in Web Access which has real killer features. I would like to see those. Would I move from OWA 2010 to this new ZCP Web Access? No. Would I like to move from the current 6.4x web access to this new version? Yes, rather yesterday than tomorrow. A thanks to Miloo Oostergo from Zarafa for a tour and discussion on their preview! And a thanks to Alexis Alexopoulos for proofreading this post.